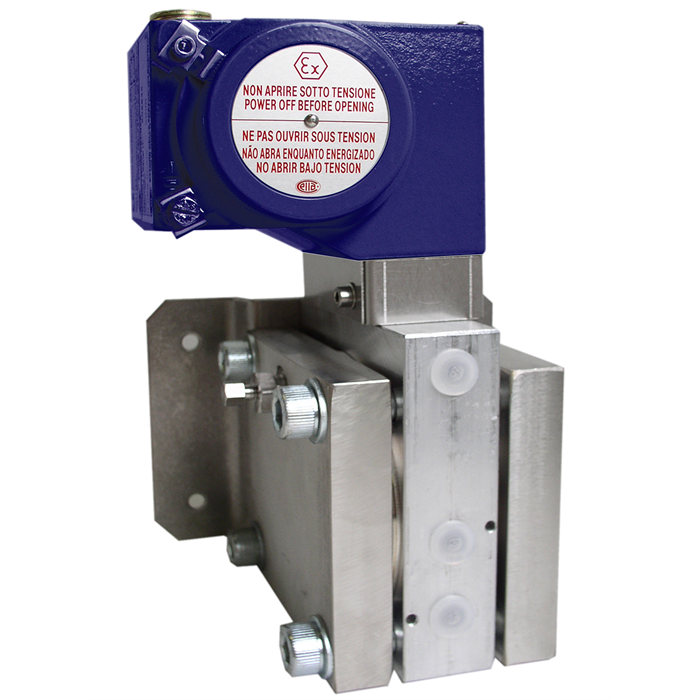 These high-quality differential pressure switches have been developed especially for safety-critical applications. The high quality of the products and manufacturing in accordance with ISO 9001 ensure reliable monitoring of your plant. In production, the switches are traced by quality assurance software at every step and subsequently are 100 % tested. In order to ensure as flexible operation as possible, the differential pressure switches are fitted with micro switches, which enable the switching of an electrical load of up to AC 250 V, 15 A directly. All wetted materials are from stainless steel as a standard. For applications with special requirements on the wetted parts, a version with Monel® is available. By using a diaphragm measuring system, the model DC differential pressure switch is extremely robust and guarantees optimal operating characteristics and the highest measuring performances, with repeatability lower than 1 % of span. The process connection with a centre distance of 54mm lower mount allows an easy and comfortable mounting of a standard valve manifold.